WordPress is no doubt one of the best Blogging platform and CMS out there. It’s free, and it’s robust but it uses MySQL and PHP to run, and it’s memory hogging. 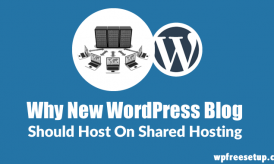 For any normal low traffic WordPress site, most of Webhosting which allows PHP and mySQL are perfect but when it comes to running a high traffic WordPress blog, we need to have a well optimized hosting company for WordPress blogs. 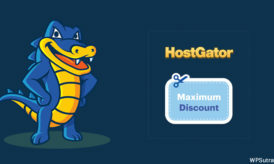 Most of WordPress shared hosting like Hostgator; Bluehost and Dreamhost are well equipped with handling any blog up to 20K traffic/day with optimized using cache plugins but when you are on VPS or dedicated hosting, things changes. Be it managed or unmanaged VPS, dedicated server, you need to optimize it for higher scalability and handling high traffic. WordPress.com, which is a free blog platform offered by parent company Automattic handles thousands of Blogs and millions of traffic every day. Some of the big sites like Techcrunch is also hosted on WordPress.com servers, and if you can optimize your hosting configuration like WordPress.com, you will be able to handle high traffic without down-time. Right now, one of my main site (ShoutMeLoud) is hosted on Knownhost VPS and despite good VPS server and high RAM, the server often times out or goes down for minutes. Every downtime means loss of traffic and hence loss of revenue. Recently I have stumbled upon this video from WordPress.Tv where Iliya Polihronov, one of Hosting guy at WordPress.com talks about how they scale WordPress.com servers to handle huge traffic and load. I’m already in touch with my Knownhost tech support team to make some changes after watching this video and I’m sure the result will be satisfactory. Here is another video from WordCamp U.S. 2015, where WPMU CTO Aaron Edwards talk about scaling dynamic WordPress sites. 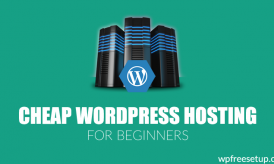 Do let me know what other optimization tips you have applied on your WordPress hosting, which helped you to lower down server load and handle high traffic.